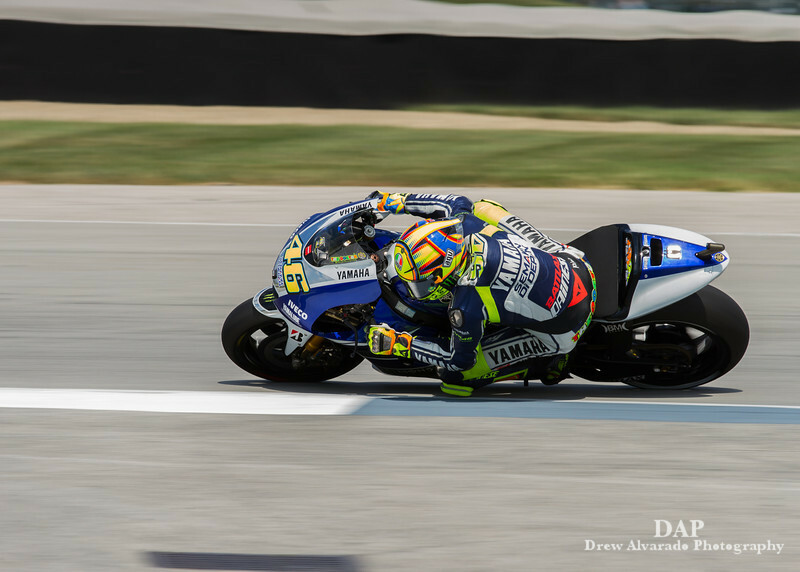 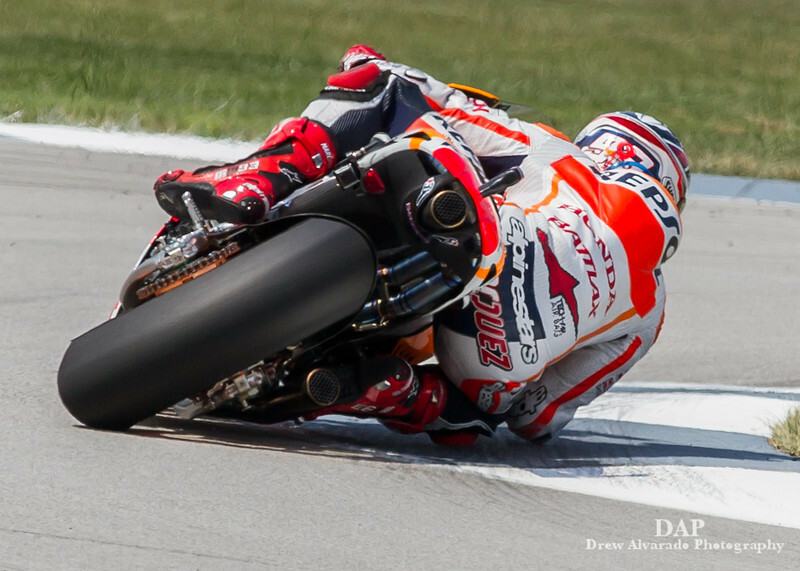 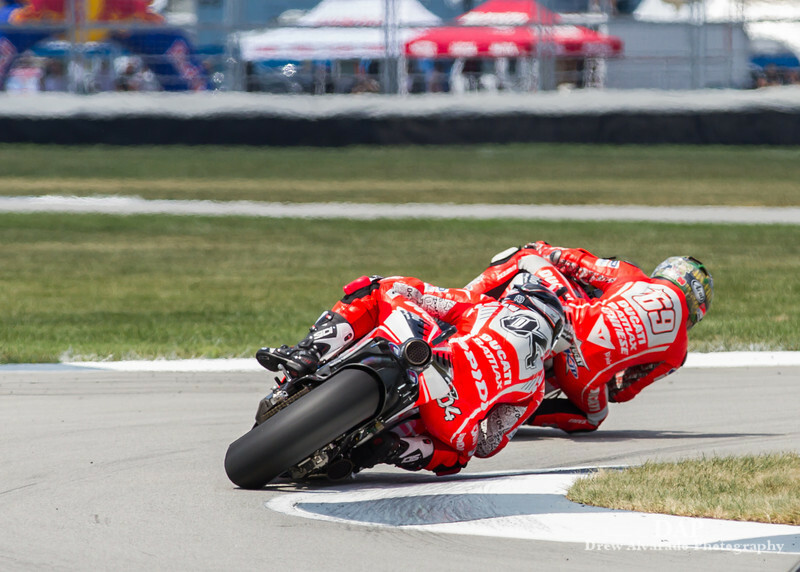 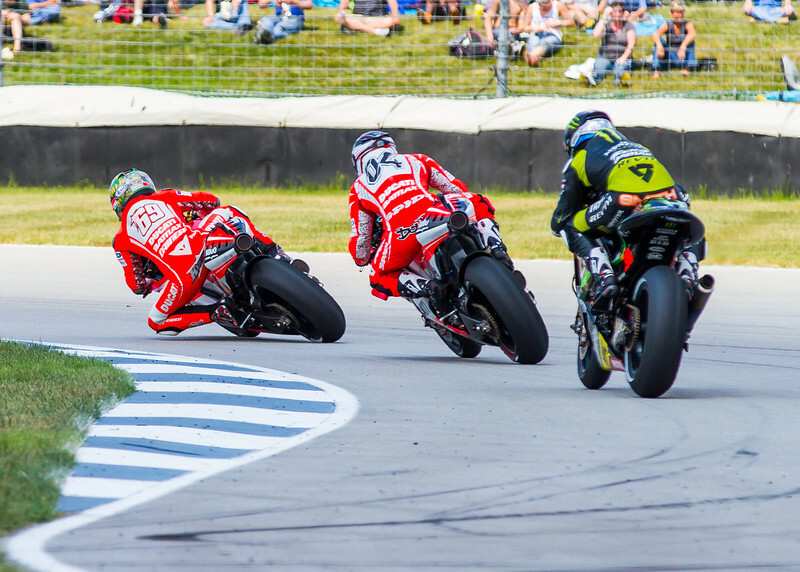 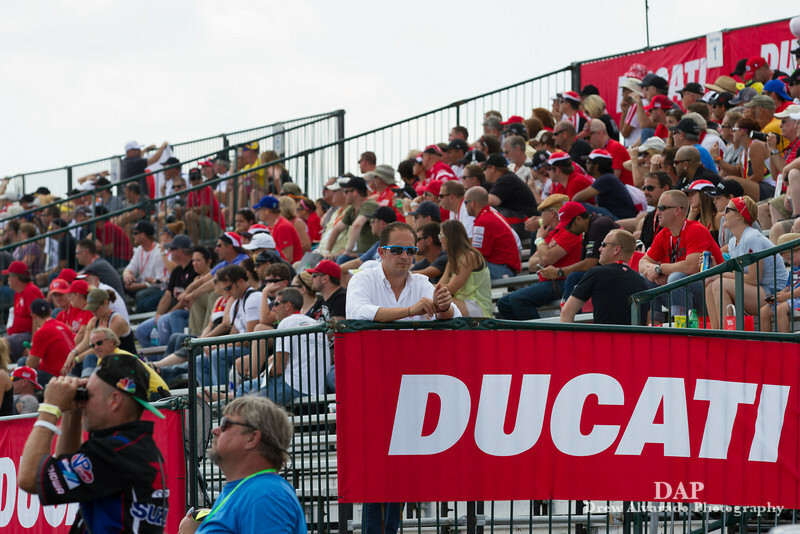 For Ducati riders Moto GP race day starts at Ducati Indianapolis. 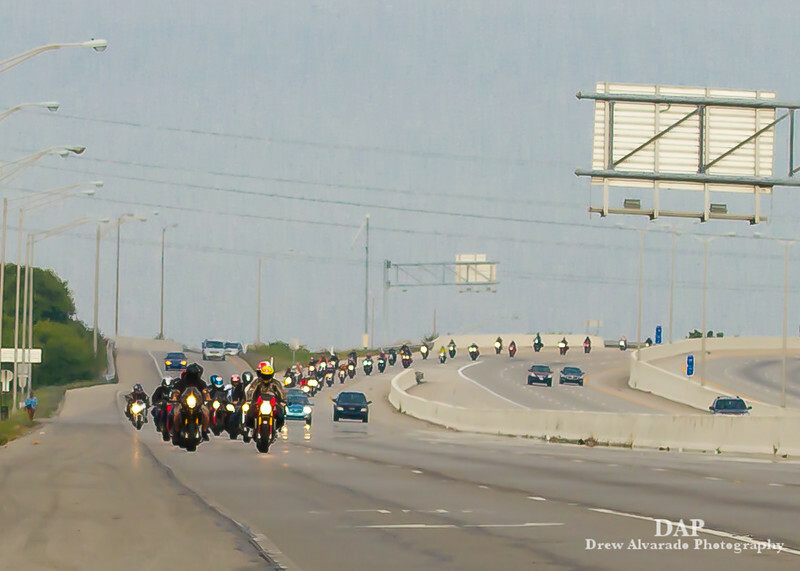 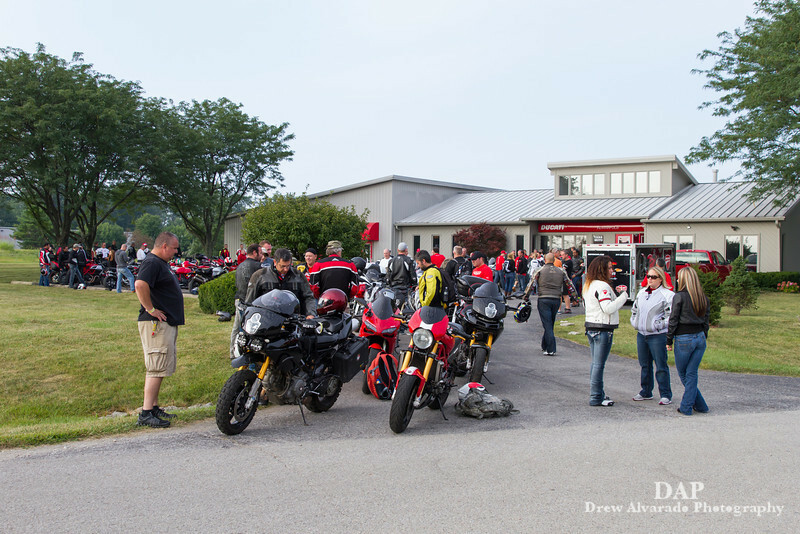 It is here that over 150 Ducati riders assemble to make their pilgrimage to the Indianapolis motor Speedway. 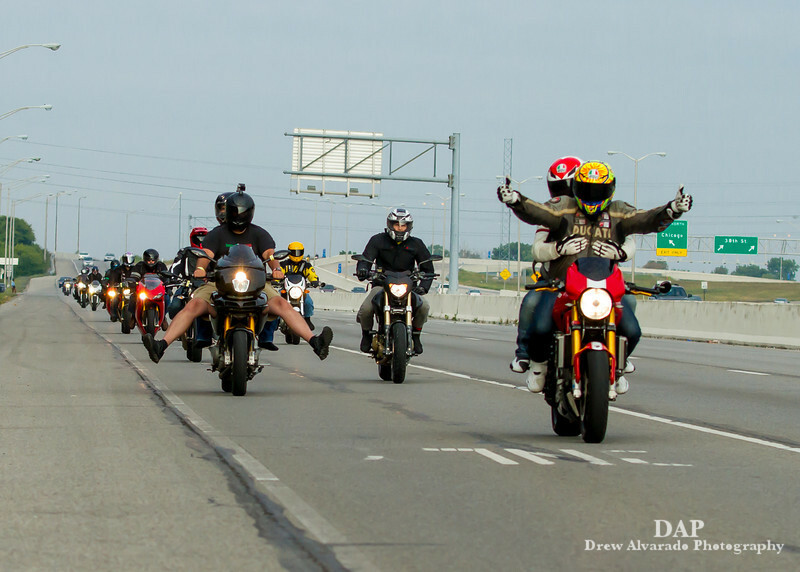 Led by Mario Cavurro, president of the Hoosier Hooligans Indiana Ducati club, they form what is know as the RED SNAKE. 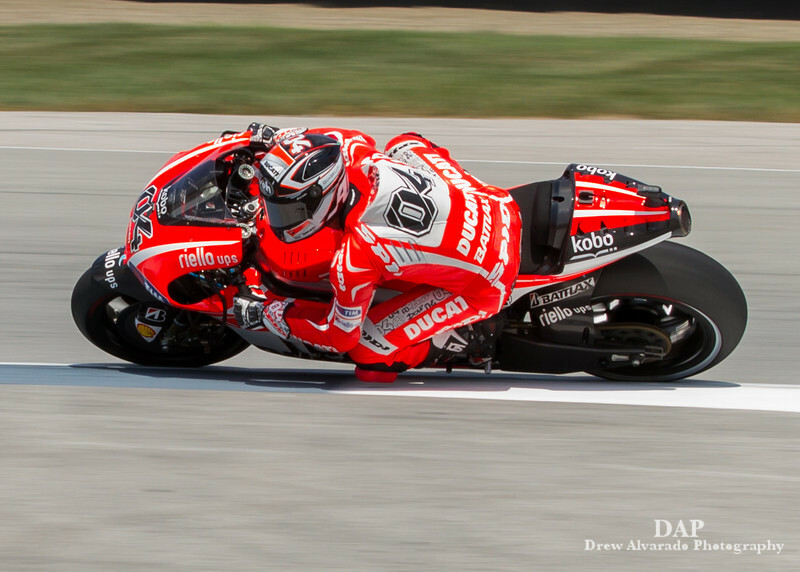 Once inside the track Ducati is carved out its own little island in the turn nine corner. 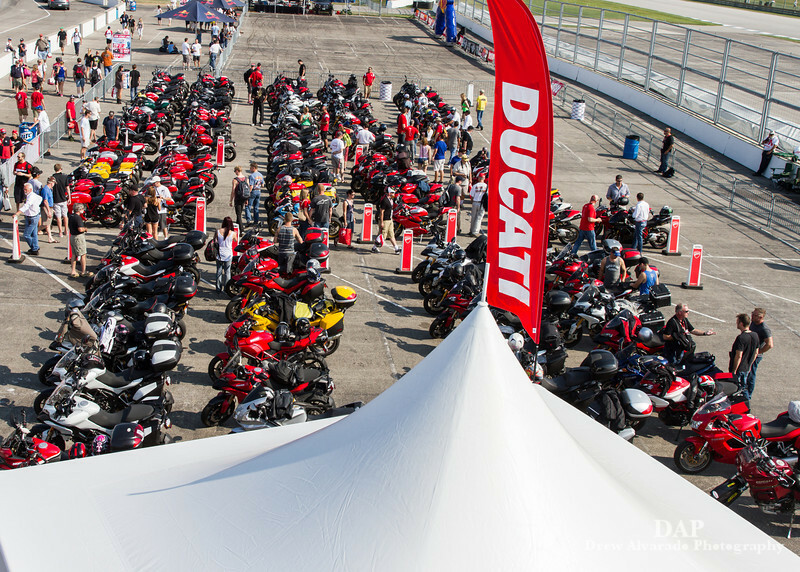 This little area is affectionately an appropriately named Ducati Island. 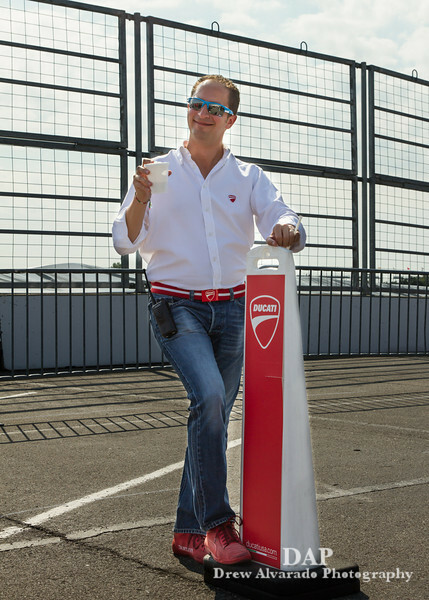 A familiar face around Ducati Island, Stefano Sbettega, Ducati North America marketing and communications director. 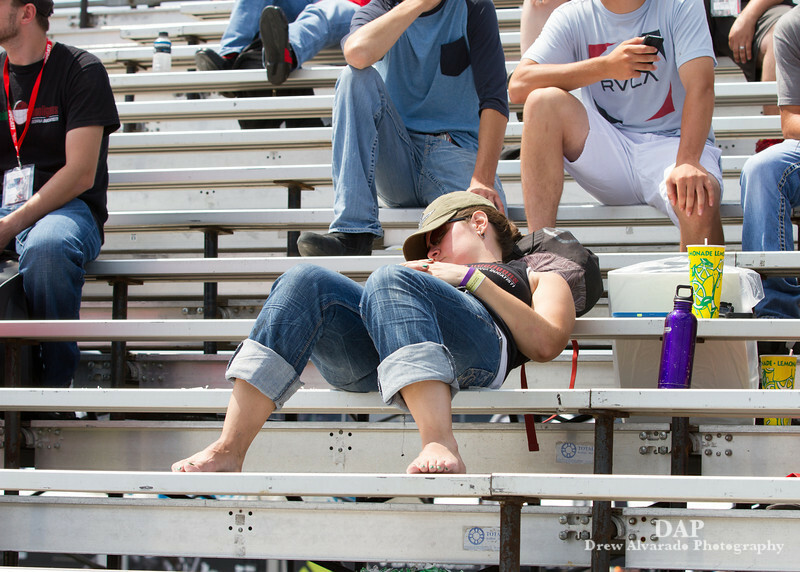 For some spectators the excitement can be too much and they need to squeeze in a little nap time between races. 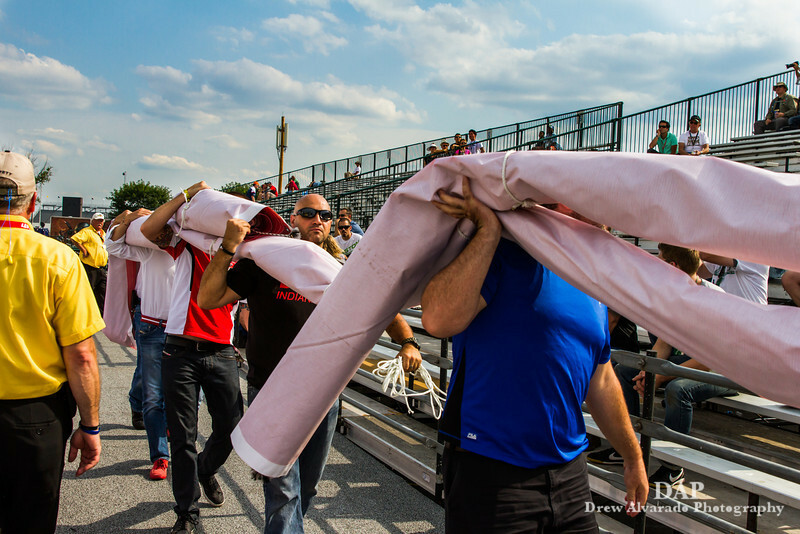 The local Indiana Ducati riders club, the Hoosier Hooligans, prepare the banner for the grandstand stunt. 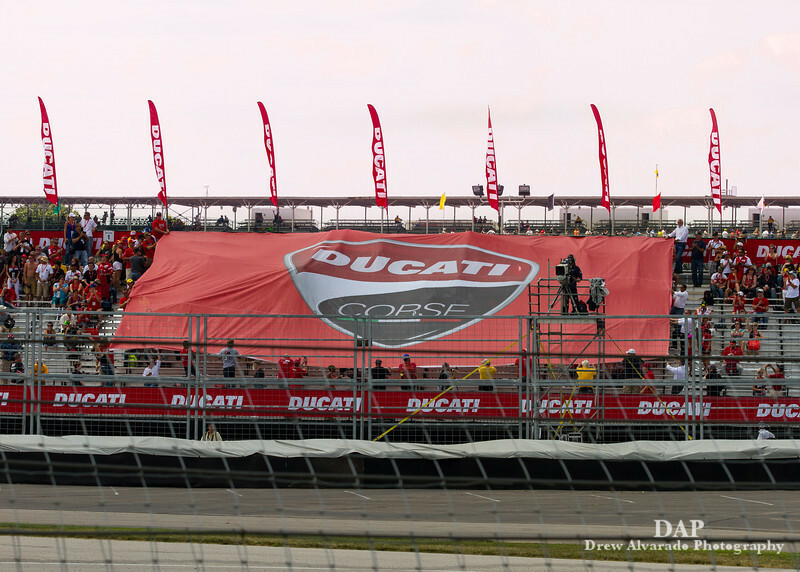 Just before the sighting lap Ducati fans rollout the 7500 square foot banner to display their colors. 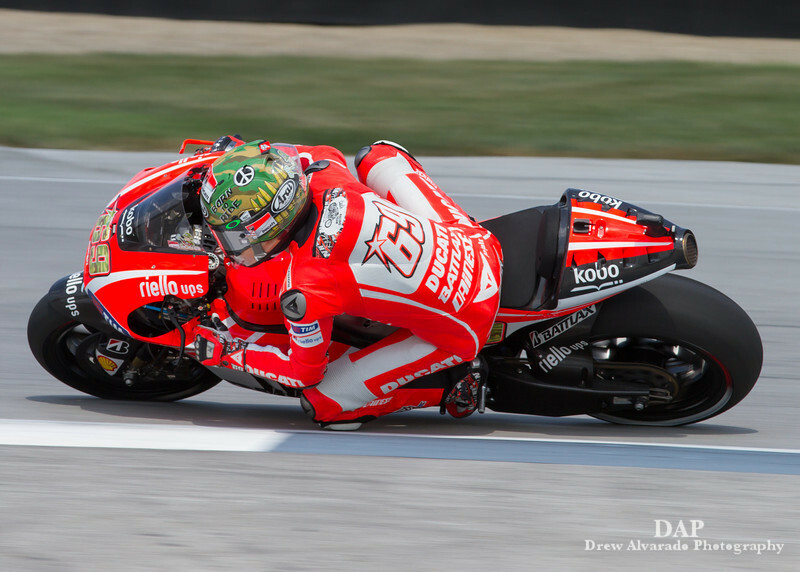 Kentucky native and Ducati rider Nicky Hayden with turn his last laps in Indy on a Ducati as he searches for a new team. 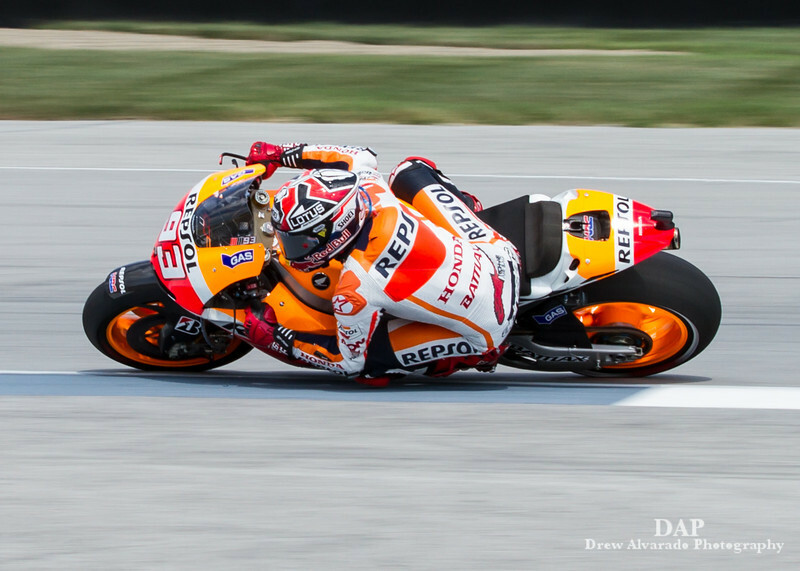 Series leader Marc Marquez is looking good for another podium.